PAV protects human rights defenders coming from Colombia who are victims of serious threats to their lives and integrity. Since 2001, this programme offers defenders a host home for 6 months in Gijon. The programme provides funding towards their living expenses and accompaniment which is offered by organisations who support the work of PAV. Since 2005, PAV organises visits to Colombia of delegations who write up reports which are then presented to the Asturian, Spanish and European Parliament and to other organisations. This programme is for Colombian people who are forced to flee from a situation of risk, people such as trade unionists, human rights defenders, rural community leaders, indigenous leaders and black or afro-Colombian communities. Support Network: UGT, CCOO, Suatea, CSI, USO, ISF, Amnistia Internazionala, COSAL, Caritas, CSCA, Asamblea Moza, GGKEen Koordinakundea, Pachakuti. Selection Committee: Giza Eskubideen Defentsarako Batzorde Iraunkorra (CPDH), Preso Politikoekiko Elkartasunerako Fundazio Batzordea (FCSPP), Laguntza Solidarioa emateko Elkarte Nazionala (ANDAS), Kolonbiako Indigenen Erakunde Nazionala (ONIC), Nekazaritzako Koordinatzaile Nazionala (CNA), José Alvear Restrepo Abokatu Kolektiboa (CAJAR), Estatu Krimenen Biktimen Mugimendu Nazionala (MOVICE), Nekazaritzako eta Abeltzaintzako Federazio Sindikal Bateratua (Fensuagro) eta Langileen Zentral Unitarioko (CUT) Giza Eskubide sailak. Shortlisting Applications: : the selection is carried out in Colombia by a committee formed by nine social organisations, some of whom enjoy human rights consultative status with the UN and OAS: CPDH, FCSPP, Andas, ONIC, CNA, CAJAR, MOVICE, Fensuagro, and CUT’s Human Rights Departments. These organisations receive the proposals from grassroots organisations and make a selection. Political: it seeks to create spaces for solidarity with defenders through which their political horizons are broadened. It seeks to disseminate, report and condemn human rights abuses and to have an impact on the prevention of human rights violations. Personal:it aims to reduce levels of personal risk and guarantee the survival of defenders, to strengthen their political and intellectual knowledge, to broaden their cultural horizons and support the emotional and psychological wellbeing of defenders. Academic: to design investigation projects which are based on the experiences of those accepted onto the Programme with the aim of drawing up new proposals, publishing analytical documents and designing aid policies for refugees. It aims to establish an investigation network with Universities and other European institutions. During their stay, defenders participate in a range of activities including working on their testimonials and carrying out presentations about their own organisations work back in Colombia; they have meetings with a wide variety of social organisations and institutions about the risks that they are exposed to; they attend interviews with the mass media and alternatives to inform the civilian population of their plight; and they participate in other specific awareness raising activities. Going back:Once the defenders return to Columbia, an Asturian delegation is sent to monitor the state of human rights in Columbia and develop activities related to this field. They are also joined by representatives of social and political organisations from Asturias and the Spanish State. The information they gather is presented in an annual report before the public, Asturian Institutions, the Spanish State, the UN and the European Parliament. To protect and provide comprehensive support to defenders whose lives or integrity are threatened because they defend human rights in their countries. This programme offers a temporary shelter or residence in Catalonia and accompaniment on return to their country of origin. The defenders present their cases and are selected onto the programme by Catalan authorities. Their applications are further endorsed by organisations from their country of origin. This programme, which is managed by the Comissió Catalana d’Ajuda al Refugiat, has got the support of the Government of Catalonia. Entities in their country of origin: these entities present and endorse the human rights defender´s application form. Catalan bodies which consider the proposal presented by the defenders. Director General of Institutional Relations and Knowledge Transfer and the Parliament through the Subdirector General of Historical Memory, Peace and Human Rights. Agencia Catalana de Cooperación al Desarrollo (the Catalán Agency for Cooperation and Development). Equality, Migrations and Citizenship Secretary. Catalan Refugee Aid Commission, who participate in the programme´s management. Catalan bodies that present the defenders proposals. Human Rights defenders: Foreign people who are linked to organisations or social movements and whose lives or their integrity are threatened in their country of origin, in a neighbouring country, whilst in transit or in a host country just because of their human rights defending activities. The defender is offered temporary residence for a period of 6 months in Catalonia and accompaniment and monitoring of their situation on return to their country of origin. Awareness raising and political advocacy campaigns. Accompaniment and monitoring on return to their country of origin. To protect human rights defenders whose lives or physical integrity is being threatened because of the work they carry out in their countries of origin. Euskadi (the Basque Country) hosts them for a period of 6 months. This programme is led by the Basque Government Victims and Human Rights Department and is managed by CEAR-Euskadi. - Aid network: Applicant organisations in the Basque Country. b) Other entities: Instituto Hegoa (University of the Basque Country), Human Rights Institute Pedro Arrupe (University of Deusto) Euskadi, NGOD Coordinator for Euskadi and the Network of Associations for Peace and Human Rights. Human Rights Commission in the Basque Parliament. A. Submission of Applications: This programme hosts 3 individuals for 6 months in the Basque Country. When the Basque Government Victims and Human Rights Department’s official call for submission of applications is published, there is a deadline set. The applications are then presented to a human rights organisation based in the Basque Country. B. Selection: Once the deadline has passed, the Basque Government Victims and Human Rights Department calls together a Selection Committee who, based on the documentation supplied, will decide which 3 candidates will be hosted. Organisations based in the Basque Country will form part of the Hosting Network which will host the selected candidates. These Basque organisations will set up channels for communication between the Programme Coordinators and the organisation in the selected defender´s country of origin. C. Departure from the country of origin: Organisations in the country of origin and the Hosting Network organise the departure together (trip preparation, documentation – passport, visa, initial background analysis...) and the welcoming in Bilbao. 1. Psychosocial Accompaniment: This programme is developed to address the psychosocial needs of the defender. It is based on a holistic approach to meet the defender´s particular protection needs by focusing on their personal needs and on the organisational and political aspects of their case; psychotherapeutic accompaniment is given to those individuals that require special support due to the impact of political violence on their lives; sheltered individuals are also helped to deal with the experience of having to temporarily leave their countries of origin. 2. Political Agenda: The work carried out during their stay in the Basque Country aims to broaden and strengthen international networks of an institutional and political nature for individual defenders and their organisations. These networks work, in practice, as protection mechanisms that facilitate the continuity of their human rights defence work. It raises awareness in the public domain and informs Basque, Spanish and European Institutions of the plight of individual defenders by reporting on the threats that they and their different organisations face, as well as outlining their specific demands for Human Rights. 3. Training Agenda: Depending on individual needs, defenders will attend specialised training sessions focused on human rights defence and the promotion of them. As these individuals on the programme are best informed about the troubles in their country of origin, they will contribute as speakers in academic and social gatherings. Ensure that organisations in the defenders country of origin continuously monitor their situation. Draw up action plans for the defender´s return. Close and evaluate the experience. Organise a visit of the Basque Delegation to the country of origin, following the return of the human rights defenders. It is a global platform of national, regional and international organizations involved in programmes for the temporary relocation of human rights defenders at risk. The main objective of the Platform is to facilitate coordination and cooperation among agents involved in the temporary relocation of HRDs. Platform members belong to different sectors: universities, NGOs, International organisations, cities, councils or the foreign office. These agents may be based in Europe or in countries or regions where HRDs are at risk. This is achieved through promoting contact and exchange among members. Through the sharing of experience among members, the quantity and quality of programmes and services can be improved, for the benefit and safety of HRDs at risk. Their activities are diverse and include identifying HRDs in need of relocation through our close work with them, providing temporary shelter within the same country, hosting HRDs in countries in their region or outside it, providing services or capacity-building opportunities to relocated HRDs, and contributing to the protection of HRDs on the ground. 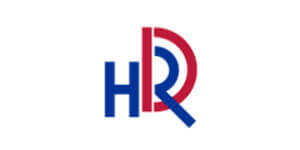 Their website is a portal for members of the platform, as well as a source of information for agents interested in knowing more about HRDs, temporary relocation, and getting involved in temporary relocation programmes. 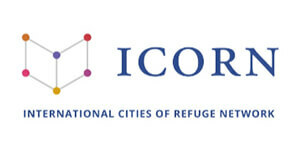 The International Cities of Refuge Network (ICORN) is an independent organisation of more than 60 cities and regions offering shelter to writers and artists at risk, advancing freedom of expression, defending democratic values and promoting international solidarity. ICORN protects and promotes an increasingly wide range of writers, artists and human rights defenders, including bloggers, novelists, playwrights, journalists, musicians, poets, non-fiction writers, visual artists, cartoonists, singer/songwriters, translators, screenwriters and publishers. To apply for temporary accommodation, you need to fill the application form that can be found in ICORN’s website (https://www.icorn.org/application-guide-writers-and-artists-risk).The person who applies needs to fill it up and send it to icorn@icorn.org. ProtectDefenders.eu is the European Union Human Rights Defenders mechanism, established to protect defenders at high risk and facing the most difficult situations worldwide. It is led by a Consortium of 12 NGOs active in the field of Human Rights. It offers human rights defenders grants for their temporary re-location in their country or abroad, in case of imminent threat. During the re-allocation time, human rights defenders can rest, seek rehabilitation, promote their capacities through training, increase their international network, continue with their work pro human rights from a safe place and prepare a safe return. 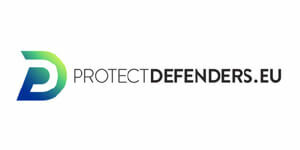 ProtectDefenders.eu accepts applications sent directly by individuals at risk or by host organisations, if they are acting on behalf of a defender. If necessary, ProtectDefenders.eu can get human rights defenders in touch with different host organisations. The grant programme’s criteria for eligibility outlines all the stages of the relocation: identification prior to arrival, allocation of a host outside the country, host country´s duration of stay and return to the country of origin and monitoring on return. When security conditions allow it, it may be possible to apply for grants to cover family members’ expenses, if they are justified and the host organisation is able to cover it. ProtectDefenders.eu will evaluate applications case by case. However, before the relocation of a human rights defender, they will give priority to preventative measures for safety and personal protection. Humanrights defenders defend the rights of themselves and of others. Through their work they play an important role in the promotion of democratic values, political freedoms, and civil rights. This is a challenging and dangerous struggle: they are often silenced, threatened, arrested, tortured and sometimes they disappear. 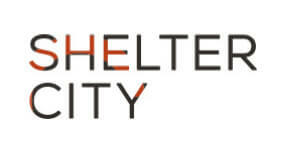 If human rights defenders are being threatened because of the work they do, they qualify for a stay of three months in one of the Dutch Shelter Cities: Amsterdam, The Hague, Groningen, Haarlem, Maastricht, Utrecht, Nijmegen, Middelburg, Zwolle, Tilburg and Deventer. During their stay in the Netherlands the human rights defenders continue their work in safety and they can take time out to recover their strength. They can grow their network of civil society organizations and political contacts in The Hague, Brussels, and elsewhere. They will also attend training to improve their skills, for instance, regarding personal safety and advocacy. They will meet residents of the city. The selection of participants happens twice a year, through public calls for application. All costs are covered by this initiative. It provides urgently-needed help to academics worldwide in immediate danger, those who need an urgent safe place in UK or abroad to continue their studies or postdoctoral investigations. The objective is to help those academics to maintain and develop their capacities and their networks with the academic and scientific community. They will need that when they return to their home countries. Frequently, the programme helps the family of the beneficiary so they can be together during their stay. To apply for it, you need to fill a quick questionnaire in the web and download and complete “Cara Fellowship Enquiry Form”. It needs to be sent by email with the documents in attachment. 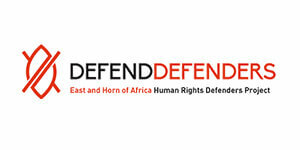 DefendDefenders works with universities in Uganda, Kenya, USA and UK, to place human rights defenders at risk in their academic programmes, so they can specialize in an area that is relevant to their work. IIE-SRF offers professors, researchers, and public intellectuals at risk support and arranges visiting academic positions with partnering institutions of higher learning and research. 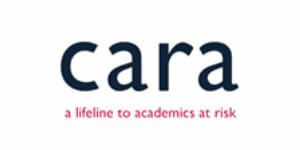 This enables scholars to pursue their academic work in safety. Since 2002, IIE-SRF has provided support to 750 scholars from more than 58 countries in partnership with more than 375 host universities and institutions in 43 countries. Applications are reviewed and due consideration is given to the applicant´s academic qualifications, the quality/potential of the applicant's work and the severity of the threats that the applicant faces. Applications can be submitted throughout the year, being evaluated by a committee termly. Sometimes, emergency applications can be considered outside those terms. 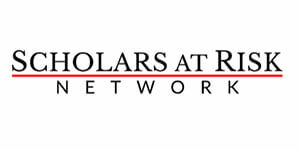 Scholars at Risk is an international network of institutions and individuals whose mission it is to protect scholars who face grave threats to their lives and to promote academic freedom. It offers academics at risk the possibility of relocation to a host country, it gives advice and puts them in touch with support services for their academic career. 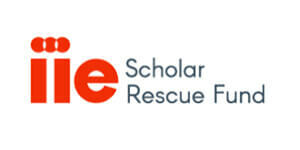 There is an application form to apply for this scholarship in the following link: https://www.scholarsatrisk.org/secure-submission/. This is an initiative lead by Justice and Peace. 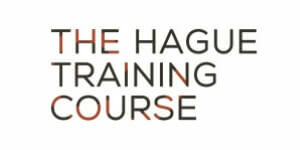 It offers a training course that is specifically designed for Human Rights Defenders. It focuses on protection mechanisms, digital safety, risk assessment analysis and policy influencing skills. This programme is sponsored by the University of Deusto in conjunction with the Office of the United Nations High Commissioner for Human Rights and Pedro Arrupe Human Rights Institute (University of Deusto). The programme offers indigenous men and women the opportunity to learn about international human rights in general and indigenous rights in particular, in order to assist their organizations and communities in the protection and promotion of their peoples’ human rights. The programme, through its international level political impact activities, facilitates the inclusion of the scholars in the international networks working in defence of Human Rights of the indigenous people. It is expected that at the end of the programme, each scholar will have gained general knowledge about United Nations and its systems and knowledge about human rights international tools and mechanisms, specifically those of specific interest to the indigenous people. At the end of the programme, each participant should be ready to provide training in their own communities and organisations, and be able to defend their rights at local, national and international levels. The programme offers a full bursary for each student. 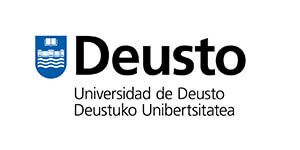 The programme starts in April and ends in July and it has two different parts: the first part is held in the Human Rights Institute (University of Deusto). The second part is held at the Office of the United Nations High Commissioner for Human Rights (OACDH) in Geneva, Switzerland. 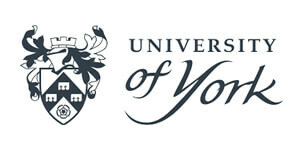 Human rights defenders are invited to go to York for periods ranging from three to six months. This programme is granted to up to ten defenders each year. During this time, they benefit both from time away from a difficult environment, and from educational resources designed to increase their effectiveness and their ability to influence policy and practice when they return home. The objective is to contribute to the sustainability of human rights defenders’ social activism. Nominations to the fellowships are accepted from recognised civil society organisations working in human rights and/or specifically with human rights defenders. A call for nominations usually goes out in February/March and the fellows are expected to arrive in York in either mid-September or early January.